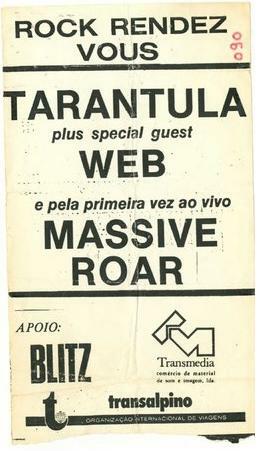 Massive Roar started in mid-1987 by guitarists Zé and Tó. 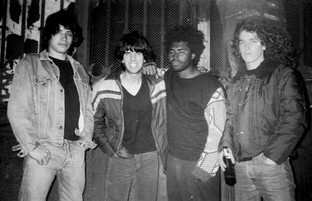 One year after they found Aníbal "Pipas" as bassist and drummer Johnny. They used to rehearse in an old warehouse next to the river Tejo in Lisbon. Their first live appearance was at the Rock Rendez Vous, July 24th 1988, they opened for Web and Tarantula. 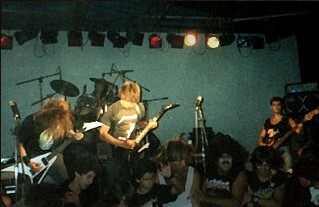 Their second live performance happened a few months later at the Festa do Avante in Loures again with Web and Tarantula and German band Paradox. 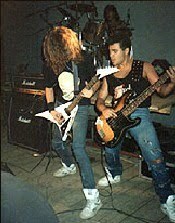 In that same month Johnny part to the USA and bass player Aníbal leave the band due to musical differences. 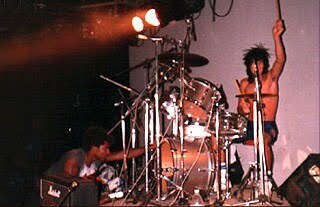 Bé, the band roadie, took the place of Aníbal and while through an advert comes a candidate for the drummer. João Silva. 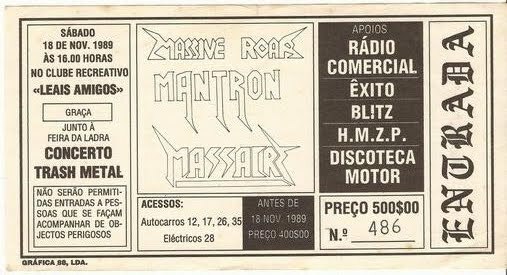 After a long pause MR return to play live, alongside Mantron and Massacre at the Clube Recreativo Leais Amigos, November 18th 1989. In 1990 João and Bé leave. Massive Roar splits. Theres a 7 track demo tape from 1992 that was never released. Massive Roar eram de Sacavem! A melhor banda daqui da altura! Yah... o único que escapava era o vocalista! Correção, alguns eram de Sacavém, outros não. O baixista era de Lisboa, Olivais junto à antiga estação de comboios. Costumavam ensaiar num armazém à beira Tejo, hoje abandonado e parcialmente demolido.